Fire has brought humans together for millennia. The cozy warmth of the hearth and the adventure of the campfire draw the same attention today as they did 100 years ago. 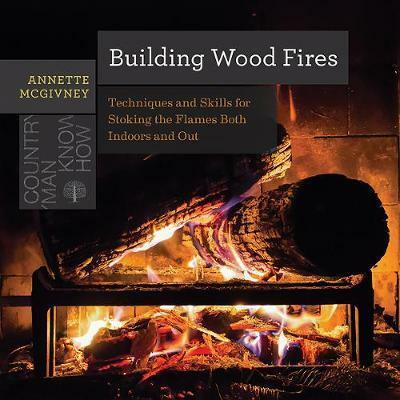 Part how-to, part history of fire, Building Wood Fires is an essential guide for anyone with a fireplace, backyard fire pit, or love of camping. Outdoor journalist and wilderness expert Annette McGivney shares years of expertise, providing tips from whereto build your fire pit to how to roast the perfect marshmallow and helpful diagrams to demonstrate essential techniques. Buffalo Everything - A Guide to Eating in "The Nickel City"
Wilderness, and numerous other publications. New Wilderness Etiquette. She lives in Flagstaff, AZ.